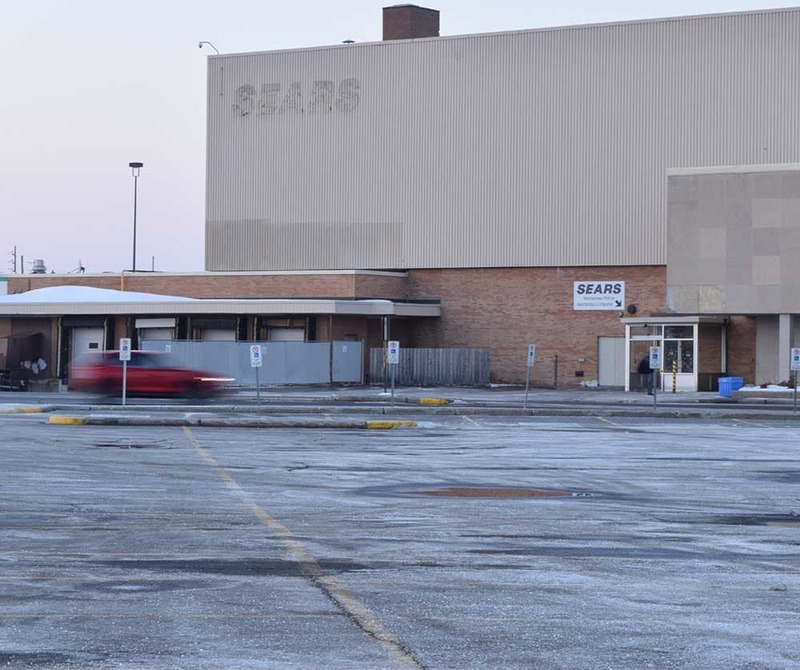 A passerby at Carlingwood Mall as late as last week may be forgiven for thinking the Sears there was still open, as the blue lettering remained intact on the abandoned department store. But now, all that remains on the former flagship store of Sears Canada is some bare wiring on the side of the building forming a faded outline: “SEARS”. It’s been a little over a month since the bankrupt chain closed its last locations in Canada, letting go about 15,000 of its employees. To reflect on the chain’s legacy in Ottawa, we collected some memories from former employees who worked for the company in Ottawa. Have some memories of your own to share? Leave them in the comments below or send us a note via email to feedback@ottawastart.com. “In 1966, when I was only 16, I got my first summer job pumping gas at the Sears gas bar at Carlingwood. Yes, there used to be one, and I don’t even recall when they took it out. “In those days it had been unheard of for a girl to work at a gas station. So as a gimmick, Sears hired a few of us young ladies, uniformed in short shorts and t-shirts, in the hope, I suppose, that we’d draw more customers. “I do recall one lecherous old gent who would show up in his convertible every day, but not for the gas. Whenever I saw him coming, I’d go and hide until he was gone. Luckily for me, before too long, they moved me into the store to work on the sales floor. “It wasn’t a place that I started to think about but I came home from a previous adventure, wasn’t sure if I was going to grad school or not. I finished undergrad and (had) a couple of acceptances, but I was tired of spending money instead of making some. “Where I wanted to work, they weren’t hiring. I interviewed at IBM. And I ended up at Sears (Carlingwood, in 1975 around the age of 23) and I was there almost six years. “It was one of the flagship stores of the whole country. It was a placeholder but it ended up being a good little career for me and they kept me busy and kept me happening. “One of the things which is so sad and still pisses me off is how these crooks stole all this pension money (in the bankruptcy). Pension and profit-sharing (back then) was a big deal. They had a fabulous plan and really encouraged people to contribute, big time. “I worked at Sears right out of college, so it would be about ’95, the fall of ’94. When I first started at Sears it was at St. Laurent, it was a fabulous work environment. It was a real family, our department was very much a family department. I had a wonderful boss, he looked after (us). “We had so much fun in the display department. Just constantly standing up and climbing on top of things and changing the mannequins and we would tease each other. It was good times. “At one point I went to Carlingwood for a little while when their display team was down and even actually (went) to Brockville. I enjoyed going to work, it was like you went to work and you felt like you were working towards something, because you felt like you were part of a family. “When I left there (after three or four years) I ended up taking over the Sears catalog agency until about five years ago, in Richmond. The published comments were edited for clarity and brevity.